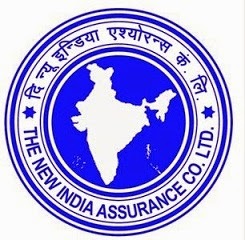 The New India Assurance Company Limited (NIACL) has published a Advertisement for below mentioned Posts 2015. Check below for more details. Educational Qualification : MBBS Degree or equivalent foreign degrees, which are recognized as equivalent to M.B.B.S degree by the Medical council of India, from a recognized University and must be holding a valid registration from Medical Council of India or any State Medical Council. Working knowledge of Computer is preferable. Application Fee: Rs. 200/- for OBC and General (UR) Candidates. No fee for SC / ST / PWD / Female Candidates. The fee payable through Online Mode Only. How to Apply : Interested Candidates may Apply Online Through official Website www.newindia.co.in.